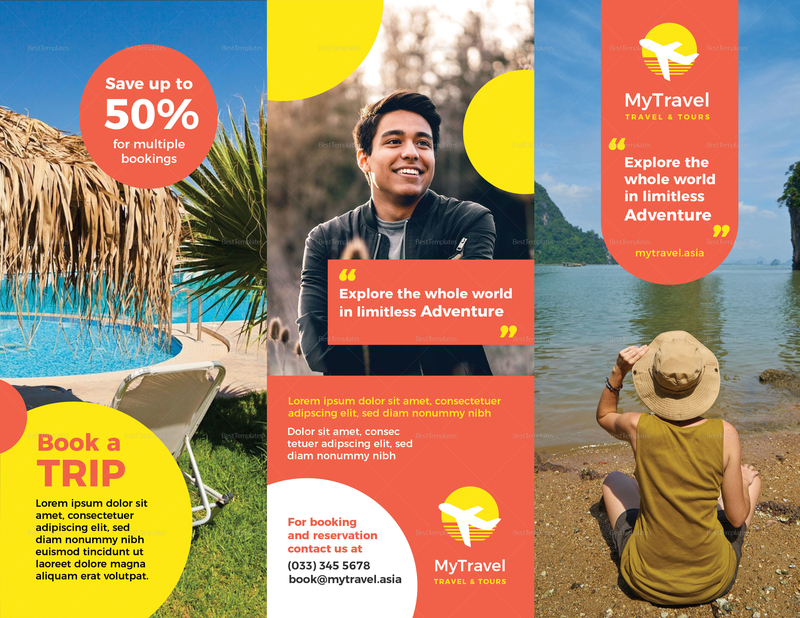 Looking for travel brochures to hit every traveller’s magic spot? 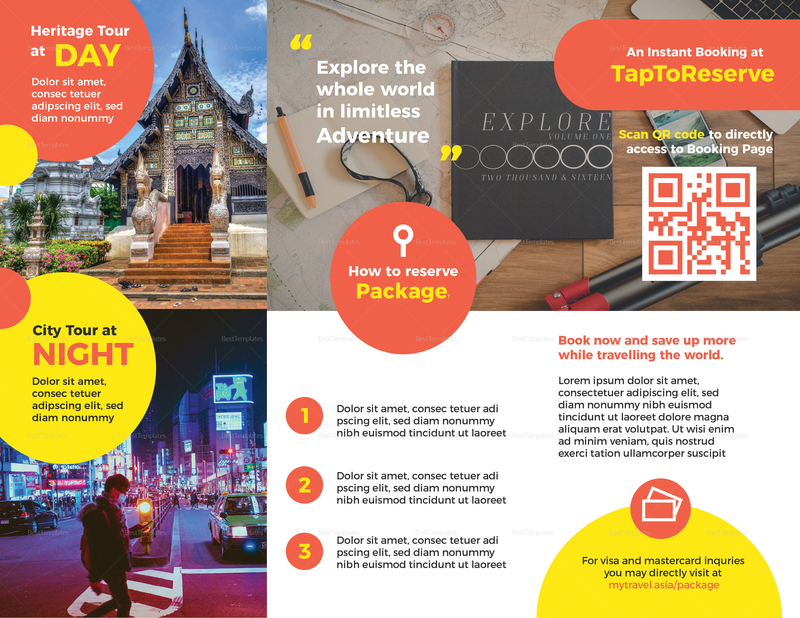 Look no further and download this colorful and effective Travel Agency Brochure Template. 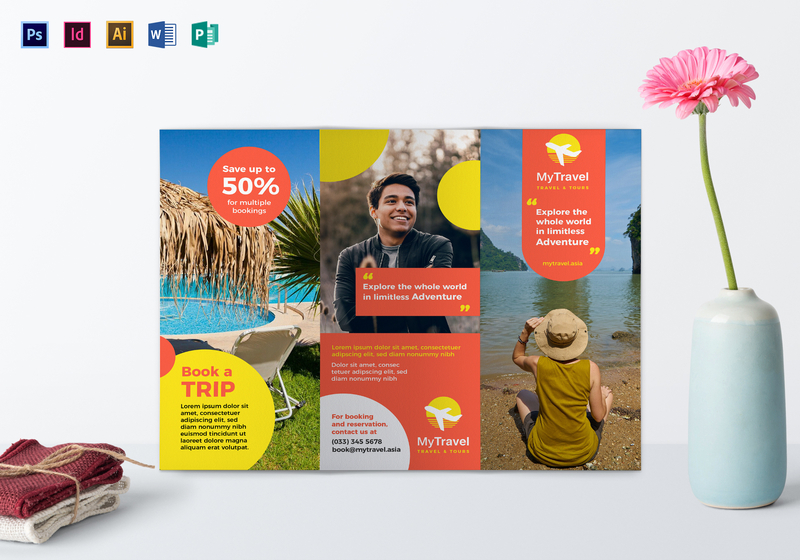 Create amazing brochures with fully customizable layouts and graphics with high quality photos and artwork in 300 dpi resolution. Amaze clients with eye catching titles and suggestive subheadings in standard fonts. Print anytime and anywhere with this professional quality, print ready template.